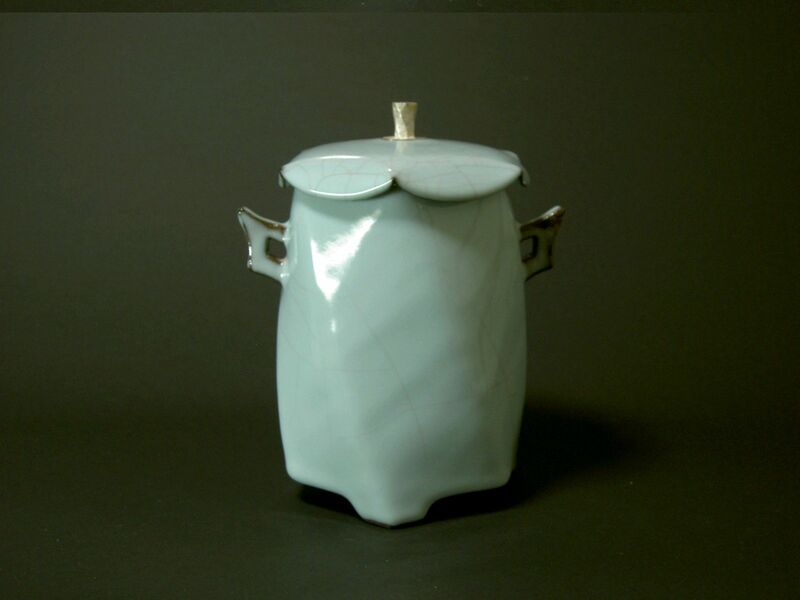 "Kanyo-Seiji" (most beautiful celadon) pottery was made for the Sung-Dynasty in China about one thousand, one hundred years ago; it is the best pottery in the world. 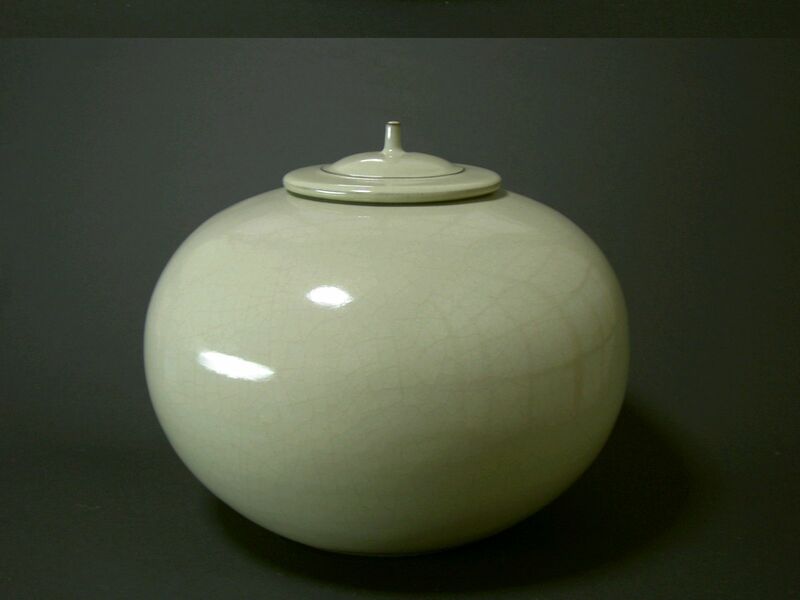 Ibelieve nobody could make better pottery than Kanyo-Seiji, in the past or the future. 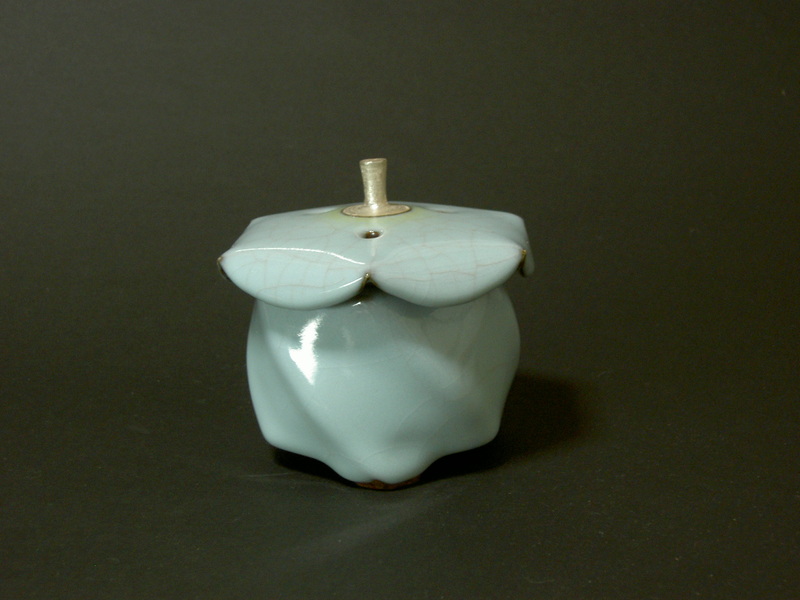 There are only two hundred Kanyo-Seiji pieces currently in existence throughout the world. 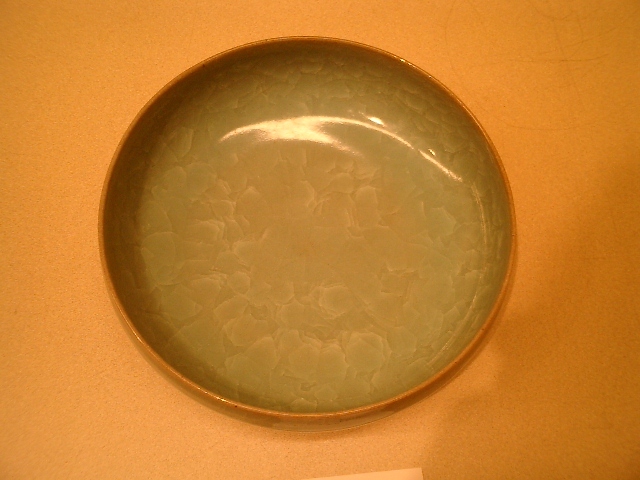 Art museumus, including those in the United States, display Seiji (celadon) pottery called Minyo, produced by private kilns, called Ryusen-yo. 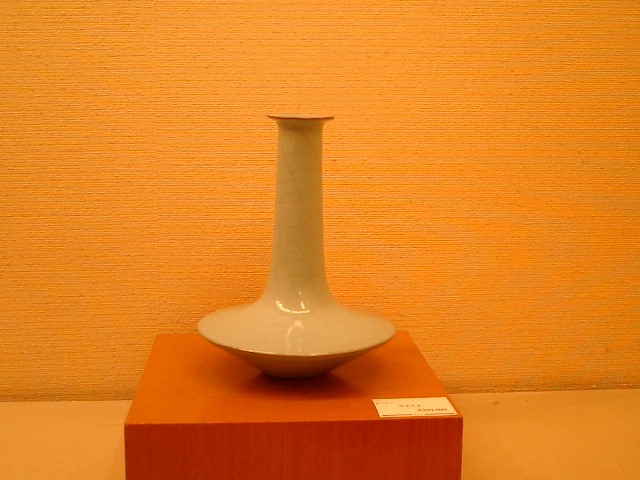 In the beginning, Ryusen-yo represented good quality artwork similar to Kanyo-Seiji. 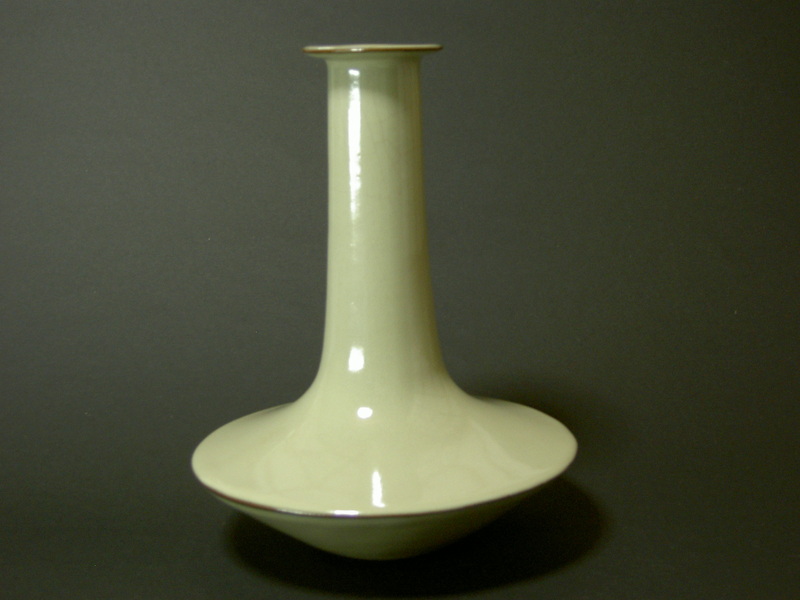 However, these pieces use a hazy green glaze on the clay. 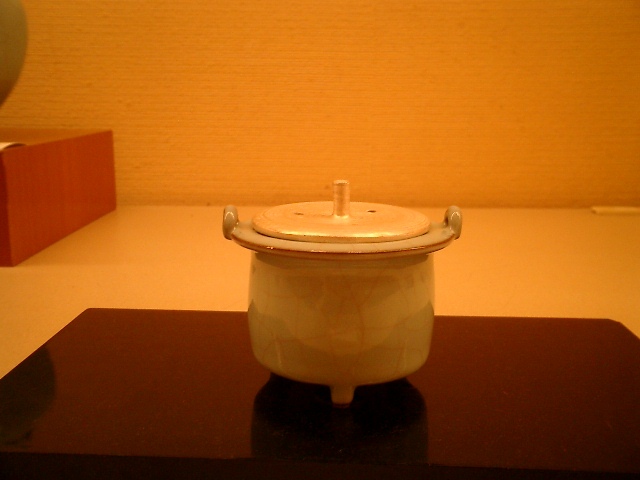 This glaze made it casier to produce a lot of potter for exporting Minyo-Seiji all over the world. 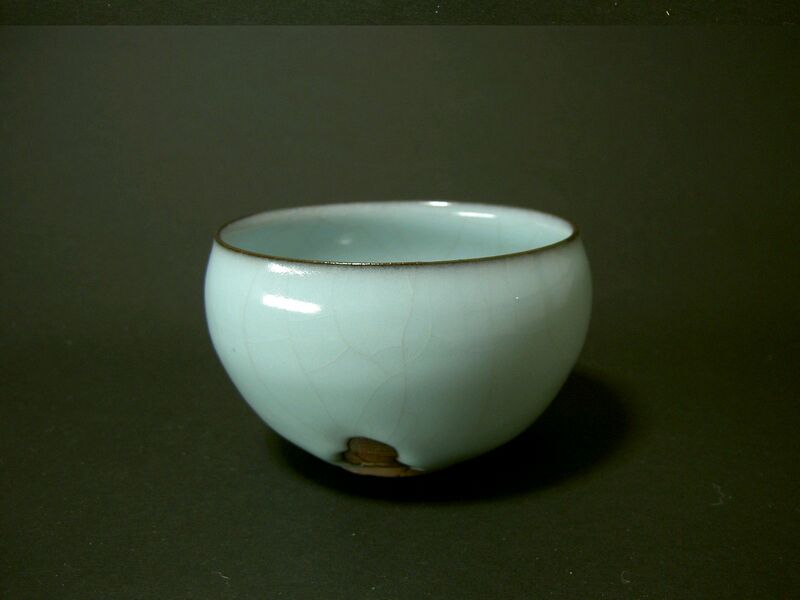 On the other hand, the Sung-Dynasty selected the best potters and ordered them to make Kanyo-Seiji with a blue glaze; they called this blue color "blue sky after rain." 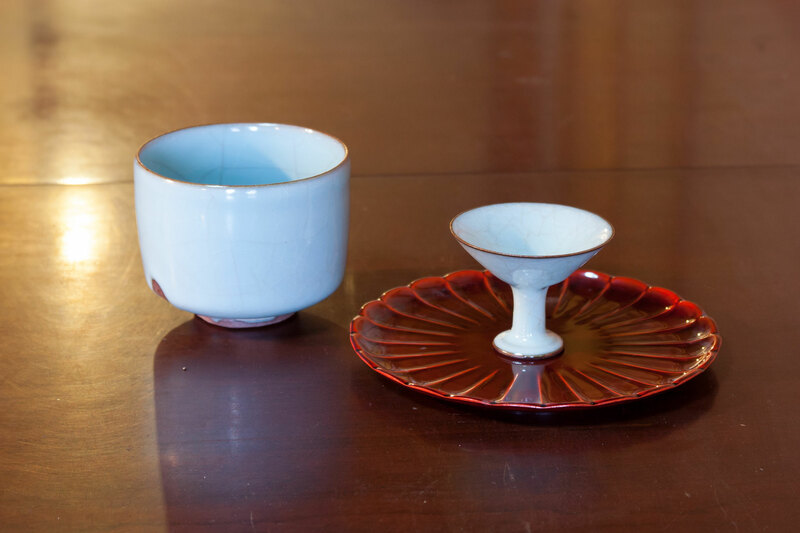 Also, a brown color signifies the top and foot portions called "Shiko-tessoku" To make the Kanyo-Seiji pieces, the potters used clay containing a lot of iron, called Akatsuchi. This made creating the perfect blue color very difficult. 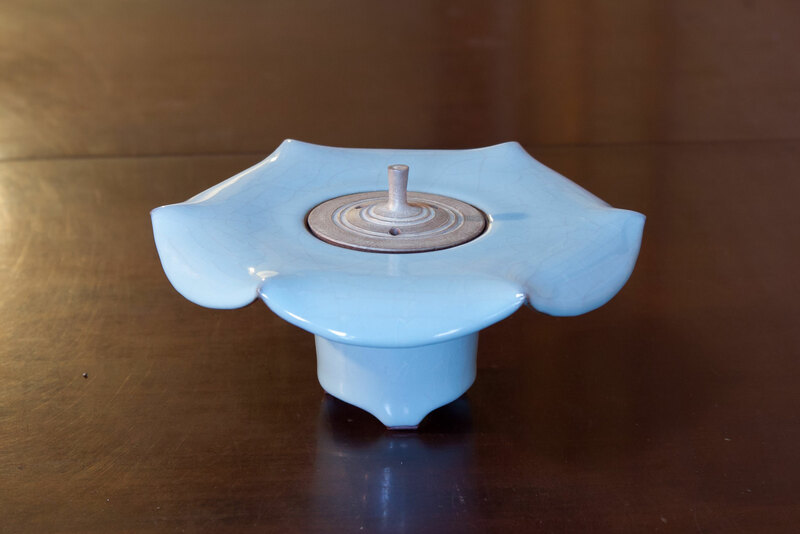 First they made a shape with red clay, and then put glaze on it at various times. This process takes a long time and a lot of work. 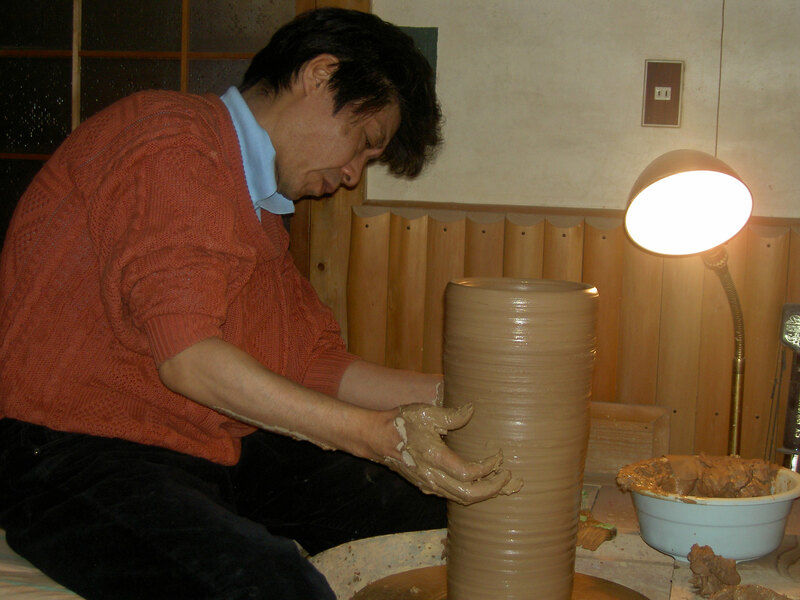 A potter can produce perfect Kanyo-Seiji only twenty to thirty percent of the time. 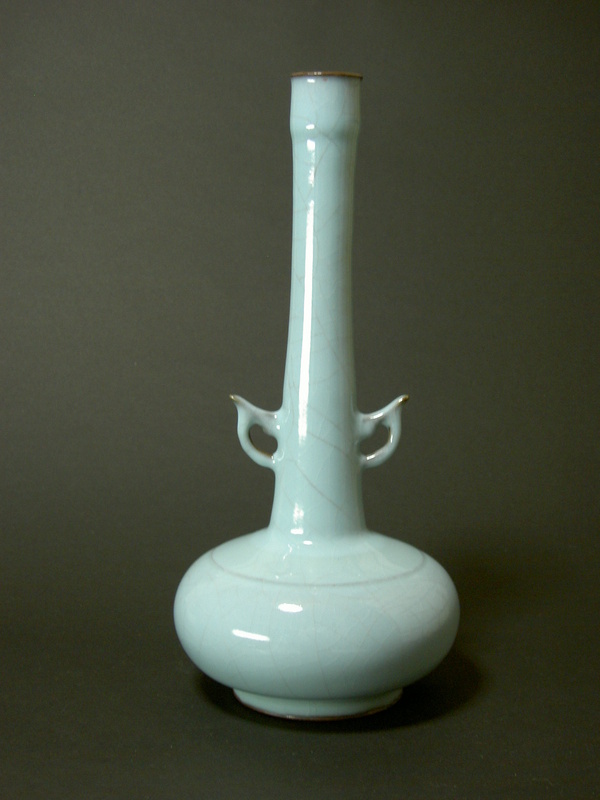 The clay containing iron is not very heat resistant; if causes the clay to deform and lose its shape. Sometimes it makes the clay shrink or makes the glaze peel away when baking. Also, when the clay is baking in the kiln, it gives off gaseous fumes. The gas sometimes forms air bubbles. That's what makes blue color could not be produced. 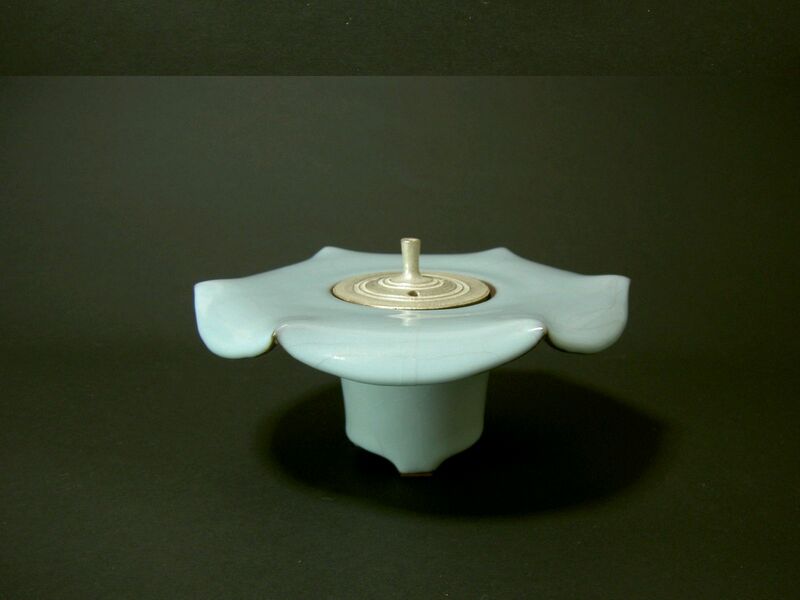 This sky blue color is the signature color for Kanyo-Seiji. 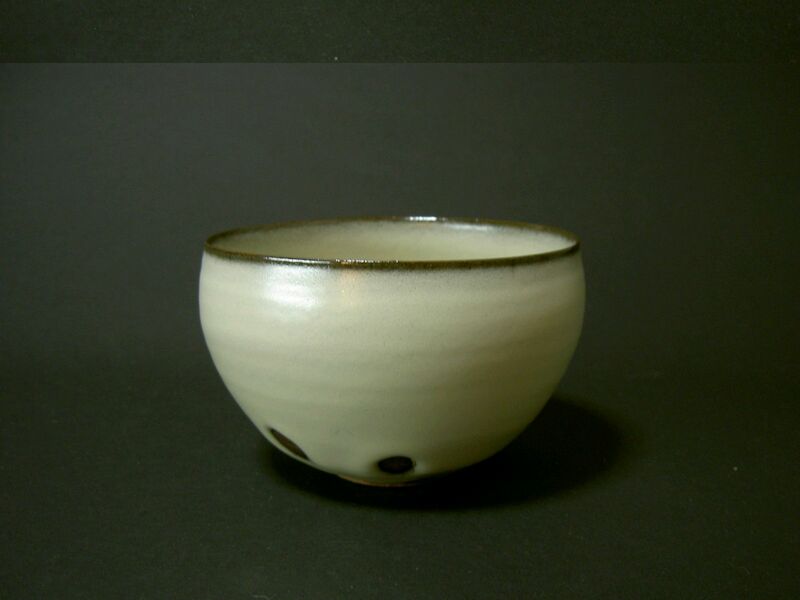 True Kanyo-Seiji does not have a green glaze. Kanyo-Seiji looks very noble and has a perfect shape; it feels warm. 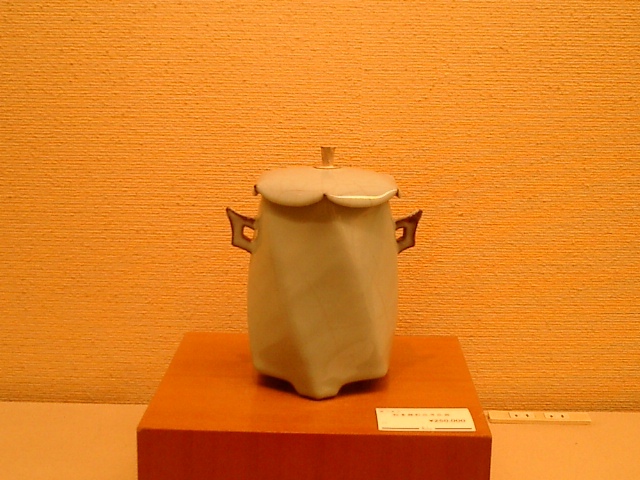 I have spent more than twenty years reproducing Kanyo-Seiji. 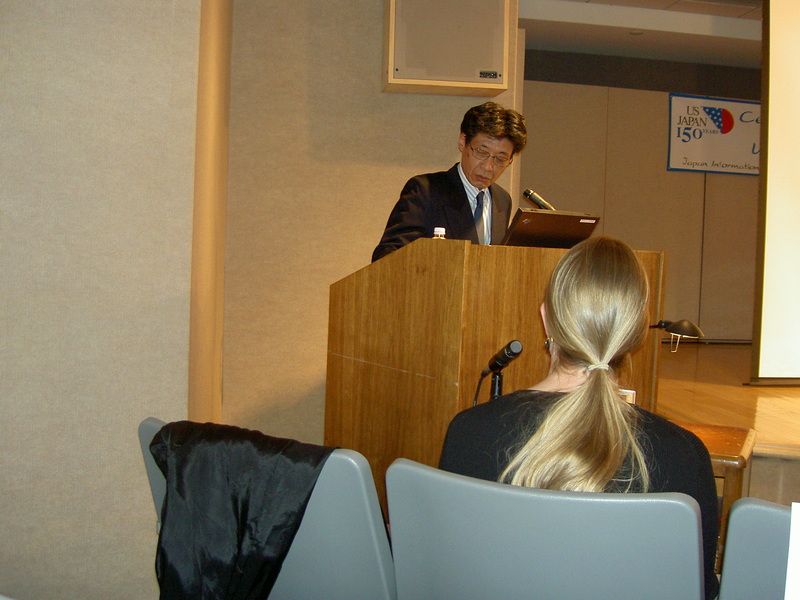 I'm never bored by the Kanyo-Seiji process because it is challenging for me. I'm not interested in easy work. 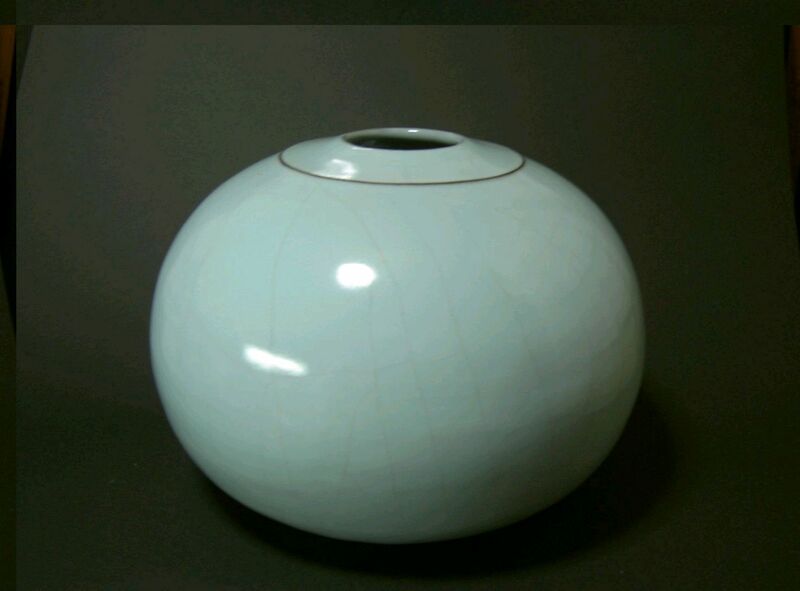 I aim to produce the same blue color as Kanyo-Seiji; the shapes are my original ideas. I am always trying to make noble art work. I believe it's the most important issue of Kanyo-Seiji. I will keep making Kanyo-Seiji for the rest of my life.